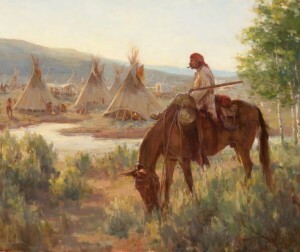 The original purpose of a mountain man rendezvous was to re-supply the men in the field so there was no need for them to return back to the settlements. The idea was that if you keep your men working, you could keep your men. Credit for this system goes to the Ashley, Henry partnership back around 1822. In a letter to Governor Simpson of the Hudson’s Bay Company, July 1, 1826, Peter Skene Ogden pointed out what he considered to be a great advantage in the American system of rendezvous. He says that “whereas the Hudson’s Bay Company that spend two-thirds of their time traveling from headquarters to the Snake River, the American trappers stay five or six years in the field and equippers met them annually to secure furs and renew their supplies”. In chapter 20 of Washington Irving’s book “Bonneville’ he describes a rendezvous. I’m not going to right down the whole description just a few things that stand out to me. “The Green River Valley was at this time  the scene of one of those general gatherings of traders, trappers, and Indians. Three rival companies for the past year had been endeavoring to out-trade, out-trap, and out-wit each other, were here encamped in close proximity, awaiting their annual supplies. “After the eager rivalry and almost hostility displayed these companies in their late campaigns, it might be expected that, when thus brought in juxtaposition, they would hold themselves warily and sternly aloof from each other, and should they happen to come in contact, brawl and bloodshed would ensue. With all the pressure off, it was time for the various camps to engage in contests of skill at running, jumping, wrestling, shooting with the rifle, and running horses.“No such thing! Never did rival lawyers, after a wrangle at the bar, meet with more social good humor at a circuit dinner. The hunting season was over, all past tricks and manuvres (his spelling) are forgotten, all feuds and bickerings (his spelling) buried in oblivion. From the middle of June to the middle of September, all trapping suspended; for the beavers are then shedding their furs, and their skins of little value. This, then, is the trapper’s holiday, when he is all for fun and frolic, and ready for a saturnalia among the mountains. “The caravans of supplies arrived at the valley just at this period of gallantry and good fellowship. Bales were hastily ripped open, and there motley contents poured forth. A mania for purchasing spread itself throughout the several bands—munitions for war, for hunting, for gallantry, were seized upon with equal avidity—rifles, hunting knives, traps, scarlet cloth, red blankets, garish beads, and glittering trinkets, were bought at any price, and scores run up without any thought how they were ever to rubbed off. For the free trapper, especially, were extravagant in their purchases. For a free mountaineer to pause at a paltry consideration of dollars and cents, in the attainment of any object that might strike his fancy, would stamp him with the mark of the beast in the estimation of his comrades. For a trader to refuse credit “would be a flagrant affront scarcely to be forgiven”. The full version of this account is in The American Fur Trade of the Far West by Hiram Martin Chittenden. This is very informative reading, although some of his facts do not agree with other scalars of the time. That would be why we can’t rely on only one source for our information. The above mentioned rendezvous took place on the upper Green River, where a good share of the fifteen recognized actual rendezvous’ took place.1825-1840). 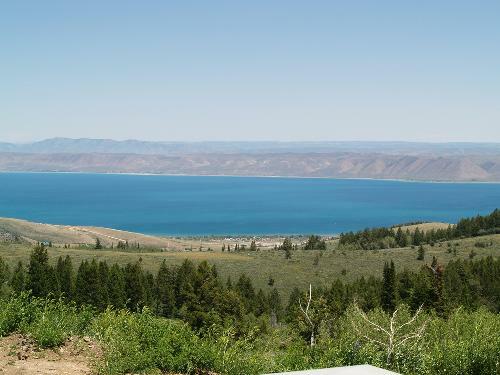 Our Bear lake Rendezvous is in the location of the 1827 and 1828 Rendezvous at the south end of Bear Lake Utah. This was the third and fourth rendezvous proceeded only by the first 1825, at Burnt Fork Wyoming and the second 1826, in Cache Valley Utah. Recreating an authentic mountain man rendezvous at an historically correct actual rendezvous location, I feel, obligates us to stay as true to history as possible! I’ve always been a believer in playing by the rules. You don’t use a bat to play football, and you don’t tackle the runner in a baseball game. Why would you sell beaded cell phone cover or Bic cigarette lighter covers at a rendezvous? A modern day rendezvous is supposed to be a representation of a historic event. This is what we will be doing at the Bear Lake Rendezvous. We appreciate those who have the same passion and are always on the lookout for like minded folks to join us. Well that’s all for now. Just remember these words are only my opinion. I welcome the chance to discuss anyone’s opinions.